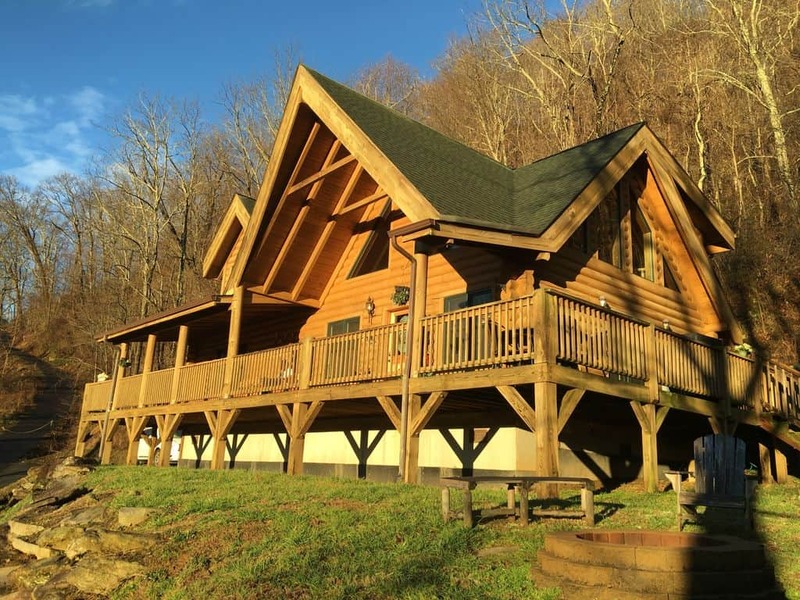 BABY BEAR’S CABIN is located in the heart of The Smoky Mountains, as well as the heart of Maggie Valley! This Cabin sits on the very top of our community without the view of the other homes. You don’t have to go miles outside of Maggie Valley to ‘get away from it all’. Built from REAL logs, Baby Bear’s Cabin is a true log cabin. Our home has TWO master bedrooms both with King size beds. A queen sofa sleeper with a memory foam mattress and 2 pullouts serve as additional sleeping. This cabin sleeps up to 8 people. Enjoy having HD/LED/LCD TV’s in living room and both bedrooms. Enjoy DISH network, Netflix and free WiFi. Our cabin has a four person HOT TUB to soak/relax in after a full day of fun. Comfortable beds, linens and towels provided. Full kitchen set up, with seating for 8. Plenty of soft blankets to curl up with and watch a movie on the Blu-ray player (collection of movies provided) or read a book. There’s even a ‘secret hide-a-way’ for the little ones with toys (ages 3+). Enjoy the ‘black bear lodge’ (upstairs loft area) while playing pool, air hockey, board games, or just hanging out. Everything is JUST RIGHT for everyone in your family! Please contact us about bring trailers. DON’T FORGET THE PANORAMIC VIEWS from the large wrap around patio!